I was on the interwebs today and saw a friend posted a link to a list of NYC educators of color to watch. I decided to click on it to see if I knew any of the cool up-and-comers I was pleasantly surprised when I clicked on the Teacher’s Night Out post to see my face! Yup, totally unexpected but completely appreciated. 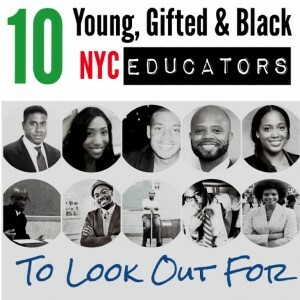 Check myself and 9 other NYC educators making waves! Recently, California Superior Court issued a ruling that gutted teacher tenure laws in the state. I was surprised /disturbed at the ruling for a number of reasons. First, I found the reading of the social science evidence on “effective teaching” very lop-sided and not inline with what most experts in education are saying. Second, and more importantly, the ruling used Brown v. Board of Education as part of the rationale for striking down five elements of teacher tenure. The plaintiffs claimed and many cheering now believe that teacher tenure is limiting the opportunities that Black, Brown and poor students have. In the Op-Ed below, I break down why this wrong and why there were no winners in the Vergara case. 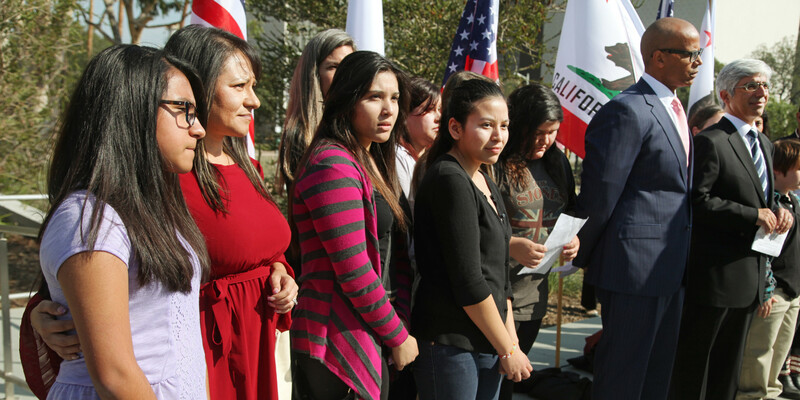 On June 10th, a Superior Court judge in California struck down California’s teacher tenure laws. While you may not be a California resident, I can tell you this is going to matter for your state, your children and your schools. In the national debate on educational reform, one of the most vilified terms is “tenure.” The Vergara case on its face appears to be about increasing student opportunities, but in reality it is all about weakening both the diversity of the teaching force and teachers’ labor protections. This is not a case of students’ interests winning out over teachers’: there are no victors in this decision. What is tenure? 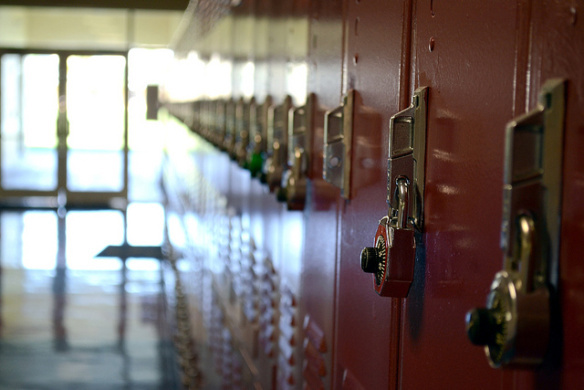 First, tenure is different at the K-12 level and the higher education level. As a college professor, tenure is a property interest in one’s job, roughly the equivalent of becoming a partner at a law firm or medical practice. It makes the person with tenure a long-term part of the management of the business or institution. But this is not the meaning of tenure in K-12 education—tenured teachers are not like law firm partners (if you don’t believe me ask a teacher to see their paycheck stub!) For educators of the nation’s youth, tenure means the right to due process. I had the honor of being featured on the Neighborhoods and Nations blog this week. 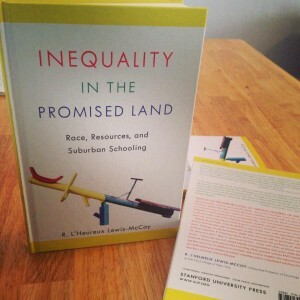 The post is an interview with me about my book “Inequality in the Promised Land” and my other research threads. I think it does a good job of providing some insight into how I’m thinking, what the book brings, and some of the terrain we have to consider in the post Civil-Rights era. Please give it a read and share. The book is officially available for purchase on Stanford University Press (Use discount code: S1420C) and Amazon. Also, don’t forget to like the book’s Facebook page and join the discussion. How would you contextualize this work in relation to your past and ongoing research? Would you say that ‘race and education’ is a primary focus for you as a sociologist? My research for Inequality in the Promised Land continues my ongoing interest in how race and class shape educational opportunity. 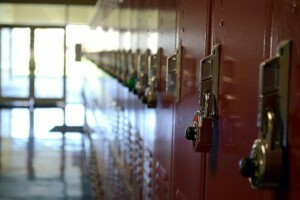 This year marks 60 years since the US Supreme Court declared in Brown v. Board of Education that “separate facilities are inherently unequal facilities.” When most people think of schools they think of them as the engine of social change or potentially the “great equalizer.” Unfortunately, when we look deeper, we see that schools are a mixed bag—some schools are flying high, while others are failing. 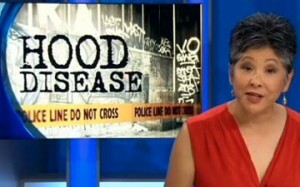 By now, we’re all quite clear that “Hood Disease” is not only not an actual disease, but that it was born of some terribly lazy journalism that relied on a salacious soundbite. If you missed it, here’s a quick summary: with the words “Hood Disease” emblazoned next to her head, Wendy Tokuda of the San Francisco Bay area’s CBS affiliate KPIX delivered the following, “Even the Centers for Disease control says that these kids often live in virtual war zones and doctors at Harvard say they actually suffer from a more complex form of PTSD, some call it ‘hood disease.’” The story then began to discuss the set of complex issues that many youth of color in high poverty areas experience daily and some of their consequences on academic engagement.Tokuda’s reporting made it appear as if Harvard scholars coined and were studying “hood disease” which set off a firestorm and multiple questions about research, Harvard, and the sources of the story. A trip to Tokuda’s personal Facebook page reveals that she derived the term “hood disease” from Mark Beasley. Who is Mark Beasley you ask? Beasley is one of Tokuda’s Facebook friends. The jokes should write themselves here, but this is the sort of propaganda that reinforces dangerous stereotypes about people of color, especially those with economic challenges. Even if you dismiss the ill-fated term, the report is still framed in a way that makes it seem that the issues that youth in urban high poverty neighborhoods face are actually a disorder that they co-create. Within the social sciences there is a long history of suggesting that problems among Black and impoverished communities are a function of their own practices and beliefs and divorced from larger social problems. In 1965, the Moynihan Report famously popularized the concept of “tangle of pathology” that argued Black female headed households perpetuated poverty, not lack of access to jobs and economic resources. Later arguments about the “culture of poverty” came to dominate academic and social policy circles resulting in divestments from communities of color and the belief that Black culture was the issue and the role of social structure was minimal, if meaningful at all. Essentially, Blackness is the disease—or so the narrative goes. 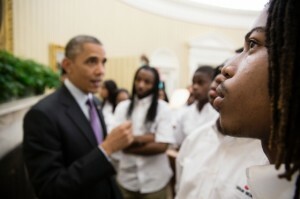 In President Obama’s last State of the Union address he said, “I’m reaching out to some of America’s leading foundations and corporations on a new initiative to help more young men of color facing tough odds stay on track and reach their full potential.” These words built excitement across the country and many of us found ourselves asking – could a Marshall Plan for young men of color be on the horizon? The answer is no, but that does not mean the effort is without merit. To create serious traction any effort to help young males of color must battle on two fronts: the empowerment of young males and changing the institutions and systems through which these young males travel. Choosing one front and not the other is a dangerous move. 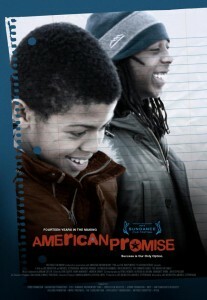 Last week, I finally watched American Promise on PBS POV. American Promise follows two Black boys – Idris and Seun – and their families as they pass through the Dalton School for primary school and split paths in high school. In so many ways, the film opens an understudied and seldom discussed experience of Black families in elite schools. While we often discuss the fates of Black boys in urban schools, particularly high poverty settings, we talk less often about Black families in well-to-do school settings. What can and should Black parents expect in these settings? While cameras follow Idris and Seun, the film is more about their parents’ educational and social negotiations than the boys’. Idris’s parents (Joe Brewster and Michele Stephenson) double as central subjects and filmmakers. A moment that stood out to me was Michele Stephenson’s commentary on their choice to send Idris to a historically and predominantly White private school. “Initially I didn’t want to even go to the interview at Dalton. I didn’t want Idris to be part of this elite school that didn’t give him any sense of grounding or sense of self. You know? A bunch of rich white kids disconnected from the larger world that [are] self-involved etc., etc. But going to the school, experiencing commitment to diversity and comparing it to the other schools that I went to, I finally gave in. I can’t say that I regret it. It’s going to hopefully allow him to compete at the top level with his peers.” Stephenson’s analysis is like many Black parents who seek high quality education for their children but simultaneously recognize that schools are often alienating to students of color, at best, and devaluing of them, at worst. Seun’s parents share similar concerns about the issues that they face as they steward young Black males through school. At the close of January I was honored to write an Op-Ed piece for the Detroit News. During my time in Michigan I’d often look to the news for diverse coverage on local and national issues. When I asked to write about the #BBUM (Being Black at the University of Michigan) campaign I jumped at it because it lies at the nexus of social media activism and on-the-ground activism. With Black enrollment dropping 30 percent in recent years at University of Michigan there is a lot to be said and active about. Link after the jump. On Nov. 19, 2013, the University of Michigan’s Black Student Union tweeted, “We want to hear your unique experiences of being Black at University of Michigan! #BBUM.” That Tweet has sparked international conversations and is angling to change the way University of Michigan operates. 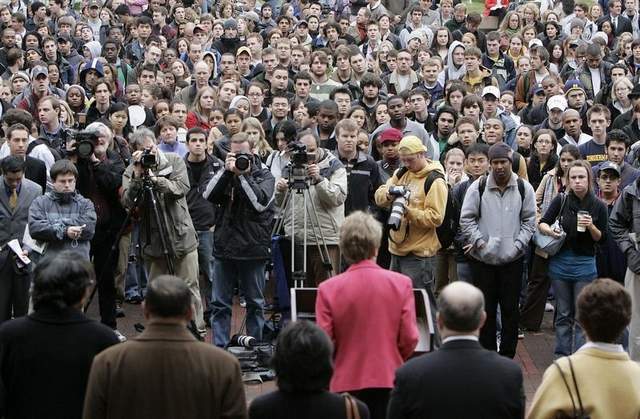 While some dismiss “hashtag activism” — the use of social media to raise awareness and sometimes launch campaigns about social issues — the BBUM (Being Black at the University of Michigan) campaign may help prove that activism that emerges via the Internet can shift policy and realities on the ground, particularly when it comes to colleges and universities. 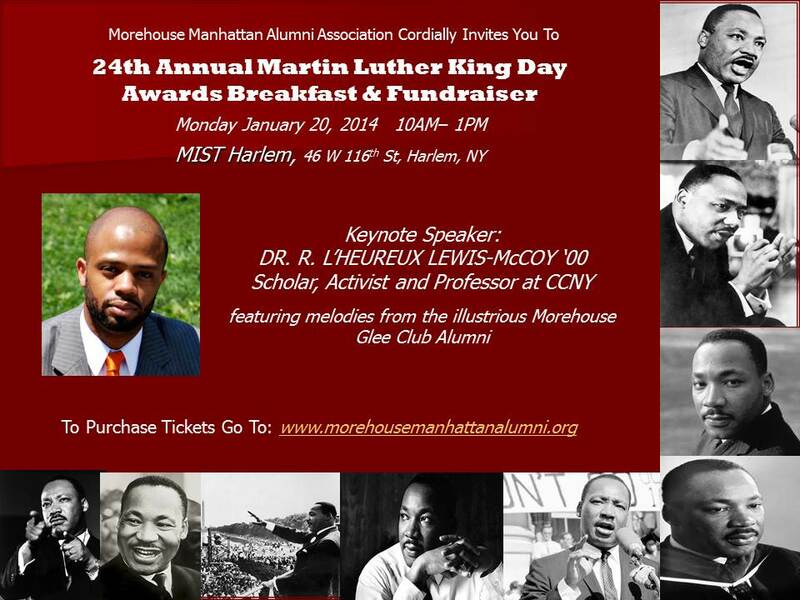 I was honored to be invited to share a reflection on the passing of Amiri Baraka. His work and the legacy he left behind have meant so much personally and politically. 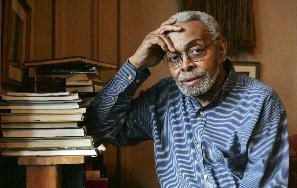 Amiri Baraka—author, cultural critic, revolutionary, professor and intellectual—passed away today in New York City after a long illness. There is no doubt that he will be remembered fondly in circles of poets, politicians, and the proletariat, all of which audiences Baraka moved between in his 79 years on earth. Amiri Baraka was, as Maya Angelou called him “a griot”— a griot that dynamically approached the stories and lives of Black and oppressed people. From decade to decade, Baraka dynamically changed his approach to the problems facing oppressed people but always remained committed to producing revolutionary art.